Remember what I said on the first day of spring about bringing my real camera with me when I go out? 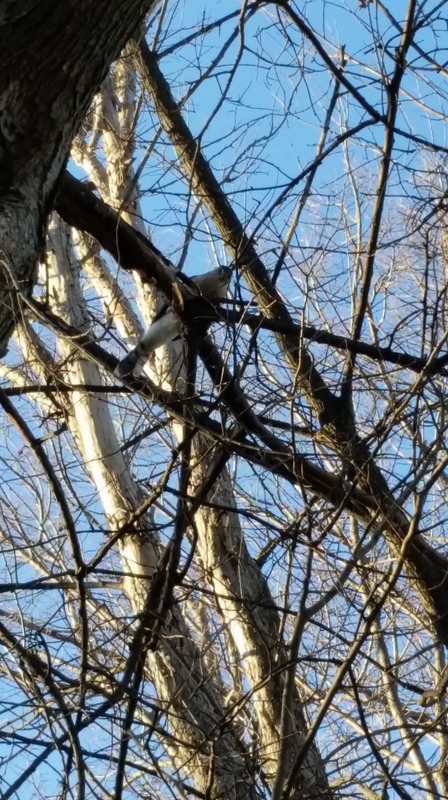 I didn’t mean when I go running—so of course interesting birds showed a plenty. 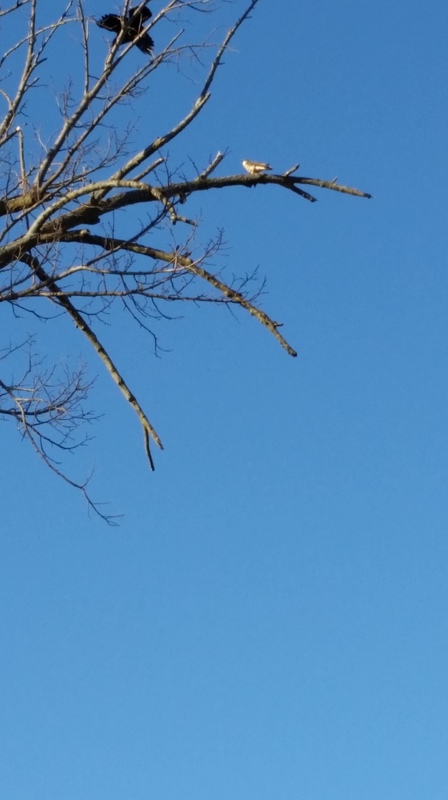 First it was a bald eagle overhead. 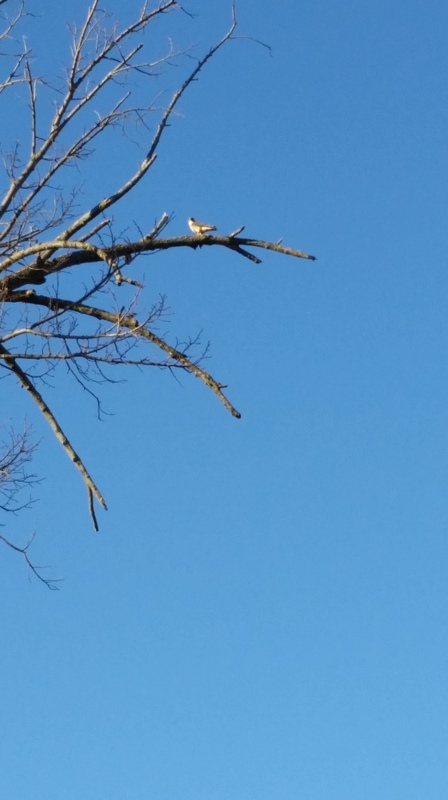 Then I spotted this tiny little bird of prey about the size of a mourning dove. It was eating what looked to be a mouse. Not that you can see the mouse here. You can barely see the bird. Then a crow came by. It squawked and swooped in on the kestrel (for that’s what I decided the bird of prey must be) before alighting on a nearby branch. And then it swooped again and both birds went into flight. Of course, I didn’t take the photo fast enough to catch the kestrel flying off with its quarry in its talons. 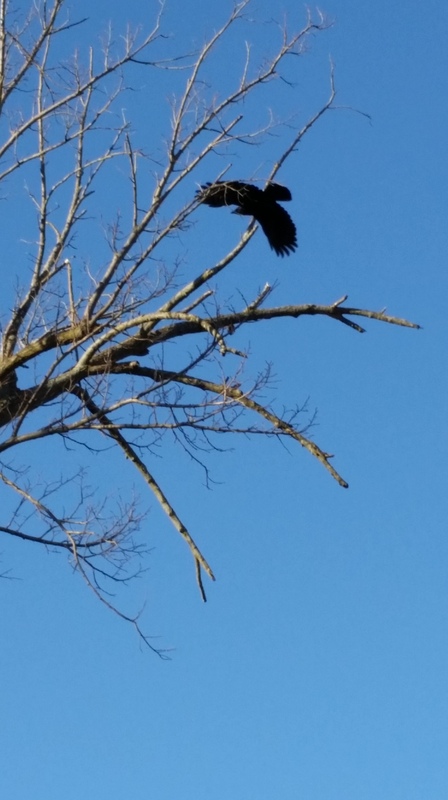 Crows are the hyenas of the midwestern birding world. It chased the kestrel for at least a quarter mile, trying to intimidate the kestrel into dropping its quarry. I lost sight of them behind some trees, so I don’t know if it succeeded. 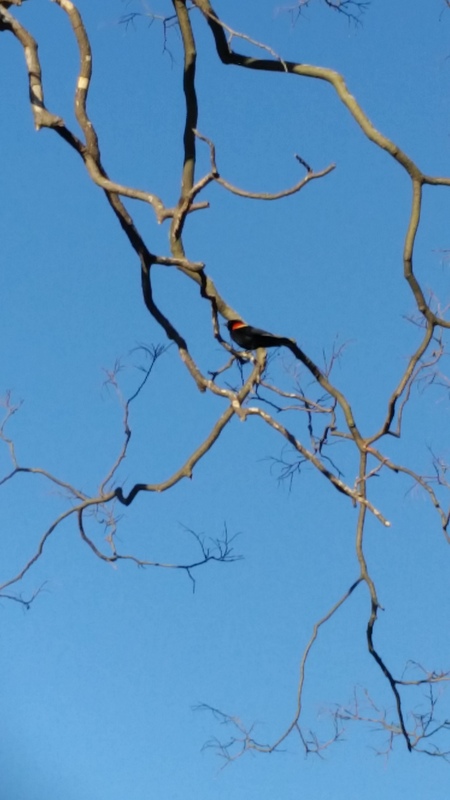 And now for a gratuitous photo of a redwing blackbird. This one is a male. The females are a mottled brown, similar to a sparrow’s coloring. I learned to identify them last summer, but will probably have to learn all over again this year. 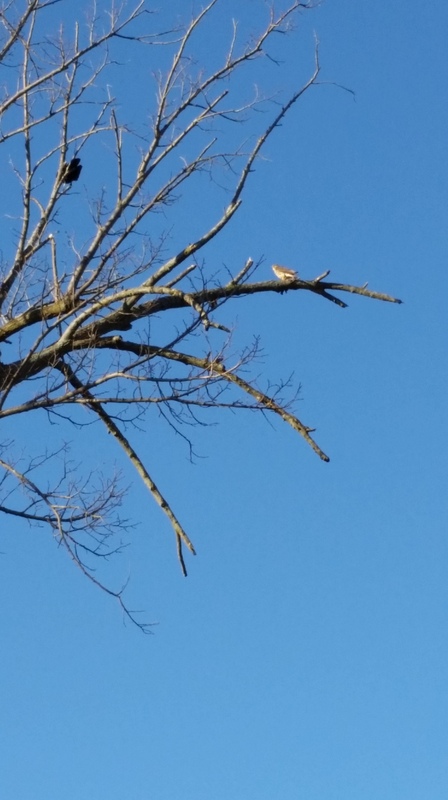 And finally, a Cooper’s hawk taking a break from its meal of a small brown bird to wonder why the heck I’m pointing at it with my phone.